Novo Nordisk’s latest Blueprint for Change case shows how barriers to diabetes care in Indonesia can be broken down to improve the lives of millions. Mr. Waslo, 82, has type 2 diabetes. 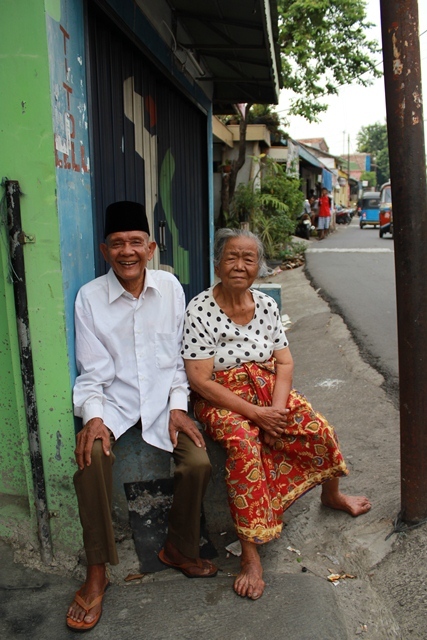 When researching the business case, Novo Nordisk interviewed him on his life with diabetes in Indonesia. Here, he is photographed with his wife next to him. 4 April 2013 /3BL Media/ - Among the 242 million people living in Indonesia, 7.6 million have diabetes but less than one per cent is achieving recommended treatment targets. In its fifth Blueprint for Change business case published today, Novo Nordisk examines four barriers that prevent quality and accessibility of diabetes care and identifies the opportunities to address them. The Indonesia Blueprint for Change recommends investments in diabetes awareness, increasing the supply of healthcare professionals specialising in diabetes care and improving diabetes education among internists and general practitioners. Concrete action suggested is the need to involve more levels of healthcare professionals, including nurses and diabetes educators. A final conclusion from the case is the need to make these investments in partnerships. According to the analysis, improved awareness, accessibility, affordability and quality of care could reduce both diabetes-related complications and costs. Over the remaining lifetime of people with diabetes in Indonesia, more than 37,000 diabetes-related heart attacks and more than 400,000 diabetes-related kidney failures could be prevented, nearly 6 billion USD could be saved in diabetes treatment costs and more than 4.6 million life-years could be gained.